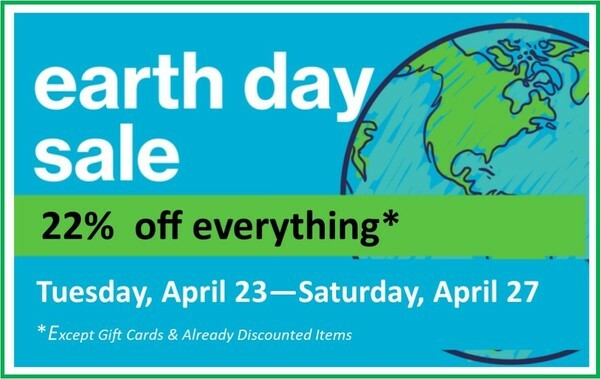 At WHEAT’s Fair Trade Store it’s Earth Day Every Day…Reduce, Reuse, Recycle ~ and Shop Fair Trade! One of the guiding principles of fair trade is environmental sustainability, and caring for the earth and each other is at the center of what we do. WHEAT’s Fair Trade Store carries products that are very obviously eco-friendly and up-cycled—like Baskets made from Chip Bags and Candy Wrappers and upcycled Saris from Bangladesh, Jewelry made form the Tagua Nut, Lanterns, Wall Hangings and Windchimes made from recycled Iron and so much more. 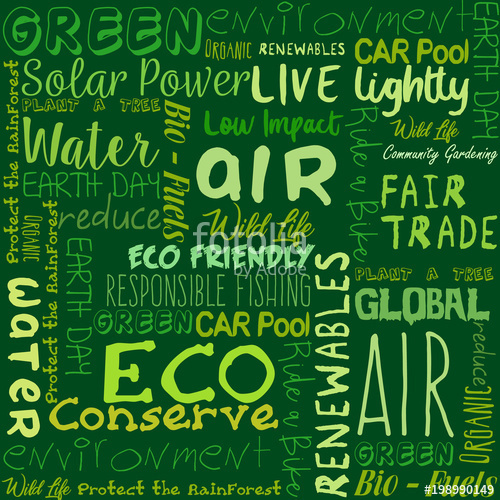 Most of our products actually have an environmentally friendly component that you may not see. In artisan communities in all corners of the world, there is much that goes on behind the scenes to respect the earth and to ensure a viable future. Earth Day encourages greater awareness of both our planet and the forces that threaten its health and future. Fair Trade encourages not only respect for the producers but respect for the environment that produces many of the products that we rely on, purchase and consume. Fair Trade artisan groups are made up of extremely poor artisans in remote areas of the world struggling to sustain a craft-based livelihood. Your purchase helps them create a sustainable income where few other options exist, improve their skills, income, and production capacity, as well as helping to improve their standard of living and to send their children to school. The artisan groups WHEAT’s Fair Trade Store works with are 90% women, providing employment to rural, disadvantaged women, many of whom are widows, single mothers, or heads-of-household with little or no income. Our fair trade partners are developing women’s leadership and decision-making skills, and to providing equal gender pay, income for widows, healthcare for new mothers, and education for girls. Self-reliance is encouraged through a savings plan and improved sanitation, and the organization distributes saplings to families to promote reforestation. Light glows warmly through the intricate cutout patterns of these handmade lanterns, created from partially recycled iron and finished with rustic painted exteriors. Jewelry made from the Tagua nut is hand cut, dyed, and polished to a glossy finish to create this brilliant three-strand bead necklace. brass bells and colorful glass beads. Fair Trade cares for the producers and cares for the planet, too!! Fair trade discourages deforestation and the use of harmful chemicals, and encourages organic farming techniques, recycling post-consumer waste, the use of sustainably harvested natural materials, and the protection of natural resources. Celebrate with WHEAT’s Fair Trade Every Day ~ and Help Keep Our World Healthy! every purchase you make supports WHEAT and its programs to do just that! Gender equality and women’s empowerment are fundamental to ending extreme poverty and promoting resilient, democratic societies. When women play an active role in civil society and politics, governments tend to be more open, responsive and transparent. When women are at the negotiating table, peace agreements are more durable. Neptune, Bobby (2016, February 18). Women and girls are poised to be key drivers of progress and growth but they need to be empowered through equal rights and equal opportunities. They need to be prepared for a 21st century economy through connection to finance, digital literacy, science, technology, engineering, agriculture and mathematics. And they need to be valued as leaders, peace-builders, and breadwinners in their communities and societies. (2016, February 18). Empowering women and girls. Retrieved from usaid.gov. When Jaye applied for WHEAT’s Training & Mentoring Program, she had years of experience working and always had to have more than one job in order to pay the rent, put food on the table for her 3 children and make sure they had clothes to wear to school. Jaye found herself in dire straits when she couldn’t find a second job after being laid off. For the first time, she found herself in line at the Food Bank, getting a food box and applying for SNAP. Jaye is a caring mother and wants the very best for her children, but she knew she needed to get a better job, but was afraid to give up the one she had. Jaye was underemployed. She was an exemplary student, always on time and always lending a hand to others in her class. She excelled at customer service and relationship building. Her on-the-job experience was at a local non-profit agency, helping to guide clients to the right resources and services. When Jaye graduated from the 10-week program, she had many fruitful interviews. One she thought went particularly well and she was called back twice. She was getting a bit dejected, when finally the call came. SHE WAS HIRED. Jaye is now working behind the counter in a team leader position at a national rental car agency. They are providing her with benefits, something she never had before; a salary for a full-time position AND opportunities for growth in the company and advancement! Jaye has been employed and out of the program for 1-year and is now coming back to share her story as a presenter at WHEAT’s networking sessions for new participants.